The Cooperative Finance Association, Inc. 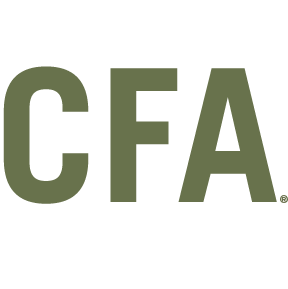 The Cooperative Finance Association, Inc. (CFA) is an agricultural finance cooperative based in Kansas City. We offer a full range of financing products and financial services to agricultural cooperatives and their members throughout the nation. CFA offers a broad array of flexible financial products specifically designed for the agricultural industry. We make loans to meet the seasonal borrowing needs of the local farmers associated with our member cooperatives. As a financial co-op, our only shareholders are our cooperative members. This allows CFA the ability to provide competitive interest rates, lower fees, one-on-one service and a convenient approval & funding process. Our members enjoy access to our financial products, support from our experienced staff, as well as patronage dividends from having ownership in CFA. Understanding our success is directly tied to yours, we are fully committed to helping you achieve long-term financial success. Build and protect market share with our point-of-sale producer financing. Finance working capital needs, inventory, real estate, equipment, and other capital improvements projects. Gain access to CFA’s competitive products and services. Copyright © 2019 The Cooperative Finance Association, Inc.